Jeff Schwartz was the Master of Ceremonies on January 28th at the fundraising event held by the Monterey Park Democratic Club to honor Kathy Wills and Arthur Fong. 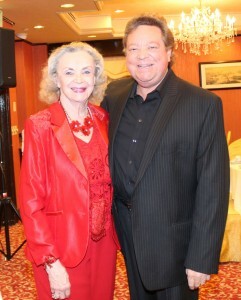 The honorees, club members and their guests enjoyed a delicious dinner at the Empress Harbor Restaurant. 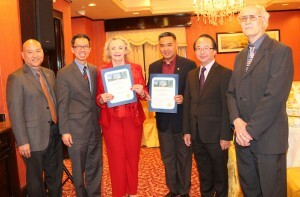 Assemblymember Ed Chau presented proclamations to Kathy Wills and Arthur Fong in the company of Mayor Peter Chan, Councilmember Hans Liang and Jeff Schwartz. It was a very busy night as Los Angeles County was also having an event in the same location as well as other events that Assemblymember Chau and Mayor Chan had to attend. Mr. Schwartz announced that tonight was the17th Annual Fundraiser to raise funds for the local Democratic Headquarters located in Monterey Park. He introduced Mayor Peter Chan, Councilmembers Hans Liang and Stephen Lam, former Mayor Francisco Alonso, Trustee Mike Eng, School Boardmembers Bob Bruesch, Henry Lo and Adele Andrade Stadler as well as special guests Kathy Wills and Arthur Fong. Treasurer John Chiang also dropped in to say hello to the club members. He was attending the county event. Kathy Wills’ special guest was her son, Karim Soliman. Her son was born in Egypt when she was a very young bride. Mayor Peter Chan spoke about the two clubs in Monterey Park being merged into the Monterey Park Democratic Club in 2013. He introduced Arthur Fong, a longtime resident and commissioner. 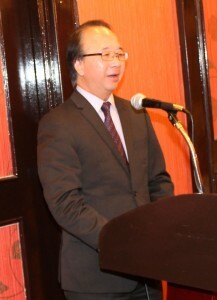 Mr. Fong was born in Hong Kong (UK) and attended Cal State where attained his BA and his MBA. He also serves in the Navy reserves and has been deployed to Iraq. He was Mr. Fong’s guest at the Army War College where he learned about the U S military. 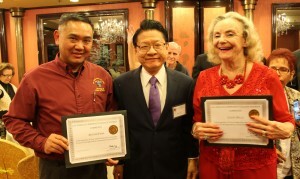 Mike Eng honored Arthur Fong as his 2011 Veteran of the Year. He is a founding member of the Chinese American Military Support organization to help young people and their families learn about military life. 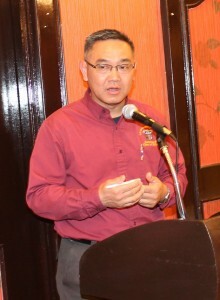 Arthur Fong thanked the club members for this honor. He left Hong Kong in 1981 before Hong Kong was returned to China in 1984. He lived in Canada before he moved to California to attend college and enjoy the warm weather. He spoke about his military duties in Kuwait and stated the reserves serve more time on active duty than the regular military members. He founded the Chinese American Support, a non-profit organization, to help young Asians interested in having a good military career. He again thanked the club members for this honor. 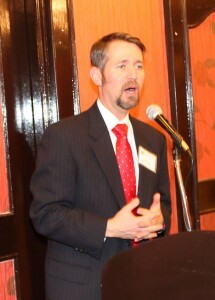 Philip Marshall, a candidate for the Los Angeles County Superior Court Judge, visited the event. He was next door at the county event. He introduced himself as an 18 year Deputy District Attorney with nearly a 90% conviction rate of his approximately 100-jury trials. He said he would not run against any sitting judge but would run to fill a vacate seat. He stated that he has never tried a person on a case if he believed them to be innocent. He always brings his family values to court. He believes in doing the right thing. He is supported by District Attorney Jackie Lacey and retired District Attorney Steve Cooley. He asked the club members for their support. Trustee Mike Eng spoke about his meeting with Arthur Fong over the shopping cart issue. He praised him for his military service and his service to the community. He praised Kathy Wills for her longtime service to the community. She was the first woman who served in the Los Angeles County Sheriff’s Homicide Detective Bureau. She has received many awards over the years. Her family is a mini United Nations. 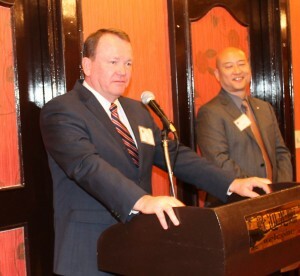 Los Angeles County Sheriff Jim McDonnell also dropped by to visit with the club members and their guests. He enjoys meeting people in Los Angeles County. He is busy working to set the kids up for success. Education will make the next generation. Reading is important. It is important to reach out to people. Kids are very important to him. We need to have a mental health complex established. He is working on the sexual slavery issue. The young people should be treated as victims. He thanked the guests for their support. 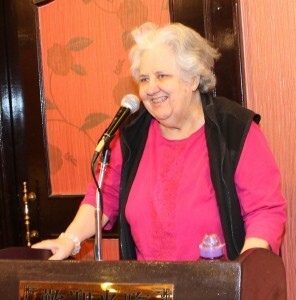 Rosemary Riedy introduced Kathy Wills to the audience. She was born in Minneapolis and married at 16 to a foreign exchange student from Egypt. She was 17 years old when her son, Karim was born. 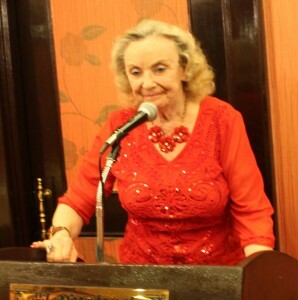 She was a stand in for Nina Foch in the movie “The Ten Commandments” that was filmed in Egypt. She is flamboyant. She is a Leo. She is delightful to have in our club. She has served on several boards over the years. She is also a great cook well know for her chicken soup and rice pudding. She is also a cat lover. She is very generous. Thank you Kathy for being who you are. 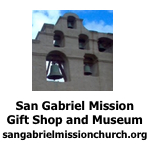 Kathy Wills stated that she loves Monterey Park. She has lived here for the last 43 years. She is from the Mid-West. Her parents were Democrats. She spoke about her sister and her husband who were disabled. It did not stop them for working for Democratic candidates that included Herbert Humphries. She said she married young. Her son Karim was born in Egypt. She met her second husband, who was the Captain of the ship, when she left Egypt. Her second son is Kent. She met Ty, the love of her life, dancing. They moved to Monterey Park. Sadly her beloved husband died after battling cancer for 16 years. She was also a model, a tour guide and worked in the film industry in Egypt. She has had a hard but colorful life. She thanked the club for his honor. 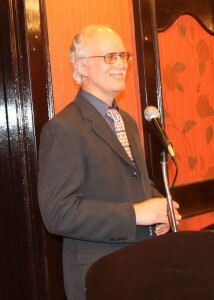 Mr. Schwartz thanked the audience for attending this event. He wished them a great weekend.